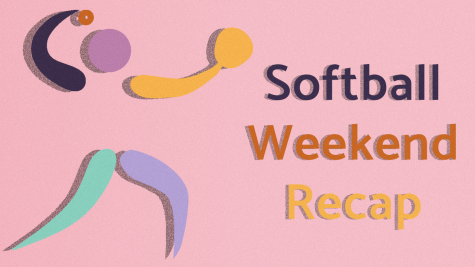 The Massachusetts softball team extended its winning streak to nine games this past weekend by winning all three of its games. The string of games played over the weekend was wrapped up with a 9-0 win over Atlantic 10 rival Temple on Sunday. 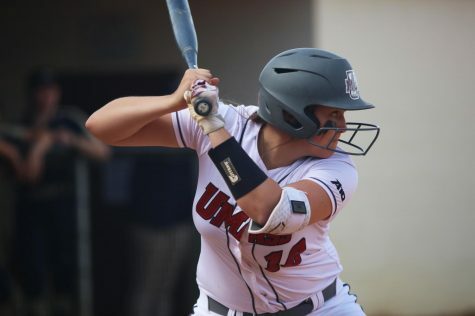 UMass (25-11, 11-0 A-10) jumped out to an early 1-0 lead in the second inning, when Teea Rogers hit a sacrifice fly to right centerfield, bringing in Kyllie Magill from third. The Minutewomen kept the scoring going in the third inning when Quianna Diaz-Patterson delivered an RBI single, bringing in Cyndil Matthew from third to increase the lead to 2-0. Sara Plourde made it 3-0 with a single of her own, scoring Diaz-Patterson. The inning ended with UMass ahead 4-0. Entering the fourth inning, the game was still in reach for Temple, but its chances ended very quickly. 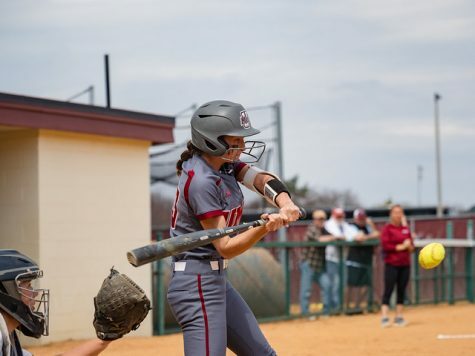 Plourde walked to bring in a run to make it 5-0, and then the game was put away for good when Tiffany Meeks came up to the batter’s box and hit a deadly grand slam to right center, giving UMass a virtually insurmountable 9-0 lead. 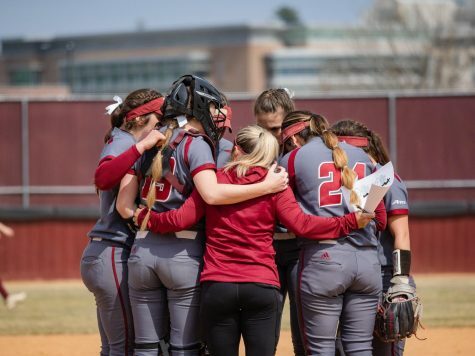 Temple (22-19, 7-5 A-10) had one final push to prevent the mercy-rule from coming into effect, but with the bases loaded and two outs, Plourde struck out the final hitter, giving UMass the 9-0 victory. Plourde won her 23rd game of the season by only surrendering one hit and two walks while collecting 11 strikeouts. In Saturday’s game against Saint Joseph’s, UMass didn’t get the start that it was looking for. The Hawks (16-24, 5-7 A-10) struck first in the opening inning on an RBI single by Lauren Rendon. The Hawks increased their lead to 2-0 in the fourth inning, when Deanna Stinner led off the inning with a solo home run. 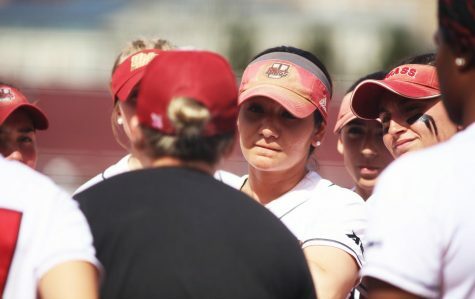 “We were struggling offensively with the change of speed and the slowness of it all,” said UMass coach Elaine Sortino. “But I thought that we did a great job, we made a couple of technical adjustments and I felt like we really kept our patience and we kept to our mindset and our game plan and we ended up breaking the game open in the middle innings. Just when the Minutewomen’s bats appeared appeared to go cold during the first three innings, they came alive in the fourth. In the bottom half of inning, Magill came to the plate and sent her first home run of the season over the right field wall to cut UMass’ deficit in half. Then, following a Meeks walk, Lindsey Webster hit a monster home run over the secondary fence in left field to give UMass its first lead of the game at 3-2. 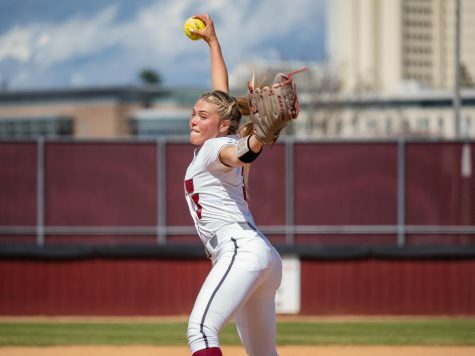 “She threw us a lot of changeups and in my first at-bat, I watched a pretty changeup go by for strike three, so I went up there thinking changeup and I got it,” said Webster. In the fifth inning, Plourde singled up the middle to score Matthew before the floodgates really opened up in the sixth. 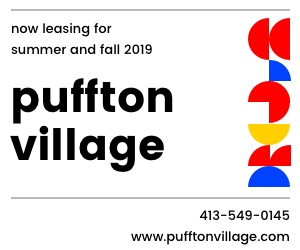 Diaz-Patterson singled to right with the bases loaded, plating two to increase the lead to 6-2 before a successful double steal scored Matthew from third. The big blow came later in the inning when Katie Bettencourt hit a two-run home run to centerfield to move the lead to 9-2. SJU scored one run in the top of the seventh, but that was all it could get, as it suffered the 9-3 loss. 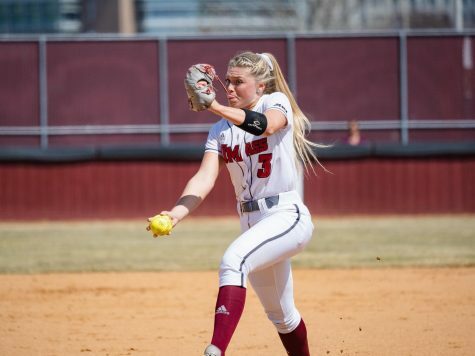 In the first game of the two-game series against SJU on Friday, UMass used another big effort from Meeks to win, 8-2. UMass got the scoring started immediately with four runs in the first inning. 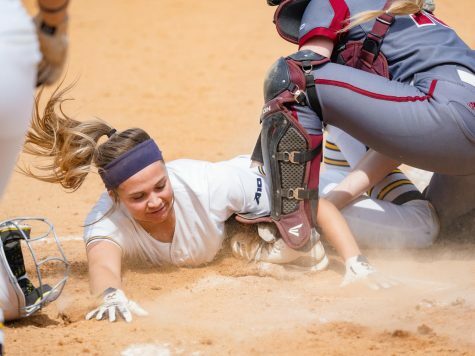 Magill delivered the first blow of the game by scoring both Matthew and Diaz-Patterson on a bases-loaded double to give the Minutewomen an early 2-0 lead. Two batters later, Meeks plated Magill and Bettencourt with a double of her own to give UMass a 4-0 lead. In the top of the second, Rendon hit a home run to cut the Hawks’ deficit to 4-1. The game stayed that way until the fifth inning, when the Minutewomen extended its lead on a Webster RBI single to push their lead to 5-1. Meeks then followed with a two-run double and the scoring was capped off with a Matthew single up the middle to give the Minutewomen an 8-1 lead. 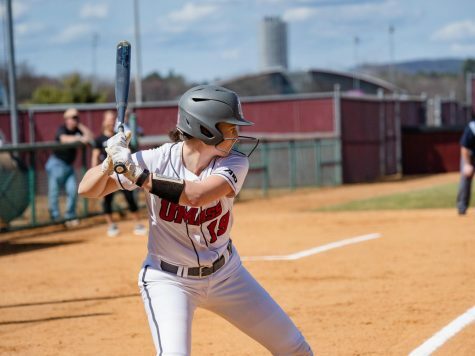 Rendon hit her second home run of the game and her eighth of the season to lead off the seventh, but that was all SJU could manage, as Plourde shut down the Hawks for the final three outs, giving UMass the win. Plourde only allowed three hits, one walk, and a hit batter, while striking out 15 en route to the victory. 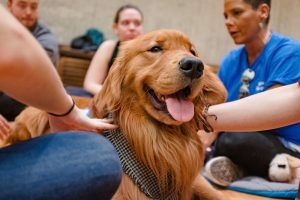 Sunday’s second game against Temple was cancelled due to rain. A make-up date has yet to be announced. UMass will continue its home stand on Tuesday with a doubleheader against Rhode Island, putting its 7-0 record at home on the line. The first pitch in Game 1 is scheduled for 2 p.m. with the second game beginning following the conclusion of the first game. 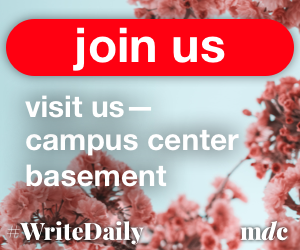 Patrick Strohecker can be reached at [email protected] and followed on Twitter at MDC_Strohecker.